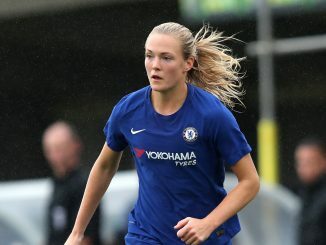 Chelsea have completed the addition of Norway international Maria Thorisdottir to the squad. 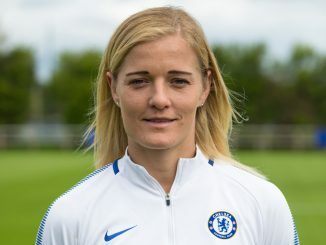 The 24-year-old defender was previously at Klepp in her homeland and recently represented Norway at the EURO2017, where she played two of her nation’s three games. 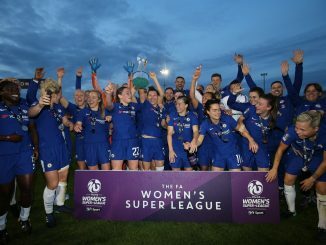 On signing a contract with the Blues until 2019, Thorisdottir told chelseafc.com: ‘I am very proud to be part of Chelsea Ladies, it is a big dream coming true and I am really looking forward to getting to know all the girls and being part of the team. Early in her career she was in the Norway U-17 squad that reached the semi-finals of the European Championships in 2009 and she played in the final at U-19 level two years later.